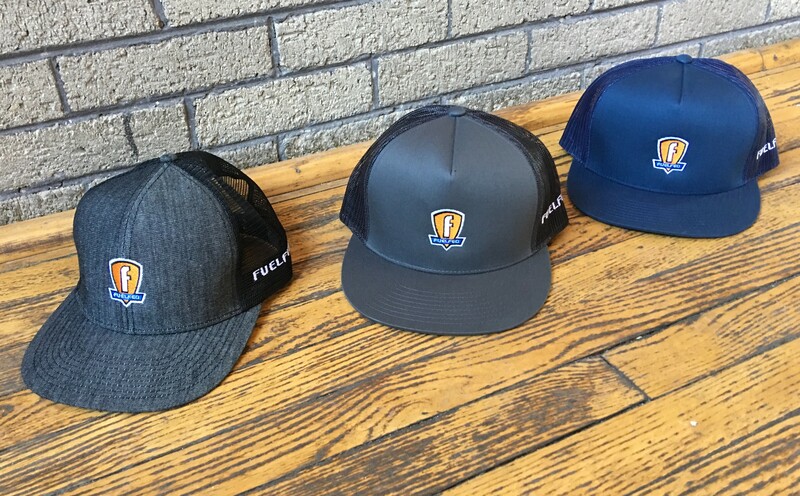 We spent considerable time hunting down quality hats for our Fuelfed brand and are proud to provide locally sourced swag. This year we are excited to add a flat bill trucker cap style, and we continue to offer the popular standard Fuelfed baseball cap style. Caps are pre-sold before printed to prevent excessive inventory and secure better pricing. Please fill out the order at the end and submit to place your order. Some hats are ordered for purchase at Coffee & Classics events and online. If you placed an order by August 10, 2018, your hat will be available for pick up August 26 or will be shipped August 27. Flat bill mid-profile and high-profile trucker caps with mesh sides and adjustable snapback closures. 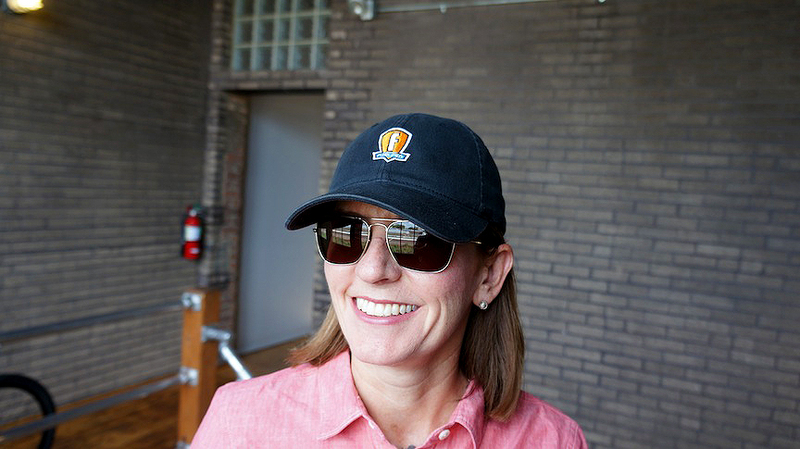 The mid-profile hat (left) is structured, six-panel, and 65/30 cotton/nylon with flat bill. 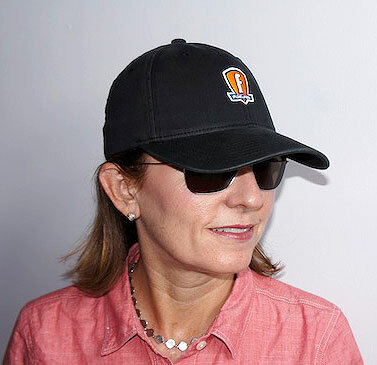 The high-profile hat (center & right) are five-panel with 3 1/2″ crown and 45/25/28 cotton/polyester/nylon with flat bill. 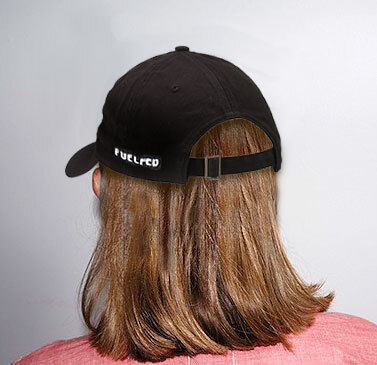 Embroidered Fuelfed logo on the front and Fuelfed word on the side of all. Color: Mid-profile: Black denim front/black mesh. High-profile: Navy/navy mesh or charcoal/charcoal mesh. These quality cotton twill baseball caps are low profile and unstructured with the embroidered logos. Adjustable back strap fabric closure with tri-glide buckle; keyhole back. 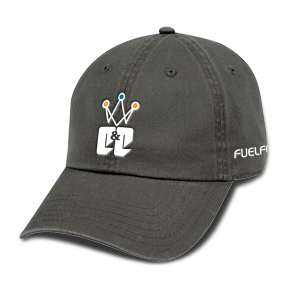 Embroidered with your choice of the Fuelfed logo or Coffee & Classics logo on front. Both baseball styles have the Fuelfed font embroidered on left side. Adult Colors: Black, Charcoal, Light Gray (not shown), Navy, Orange & Stone. After submitting your order below, you will receive a secured payment link. If you prefer to pay by check, send check payable to “Fuelfed” to: Fuelfed, 5225 N. Ravenswood Ave., Suite 201, Chicago, IL 60640. Once payment is received, your order is officially placed. We do our best to respond same day with the payment link. If you don’t receive an email within 48 hrs, please contact us. Please fill out the form below and Submit to place your order. You’ll be sent a payment link within 48 hours. Once payment has been received, the order process is complete. Delivery: Please allow 4-5 weeks for delivery. If your hat is in stock, you’ll receive it much sooner. Hats will be sent via traceable U.S. Priority Mail (recommended) if you’ve requested shipping, otherwise you’ll be notified to pick up your hat. Return Policy: All sales are final, but you may exchange for another hat if we have one in stock; you’ll need to pick up the shipping fee. Returns are allowed if your merchandise is defective or damaged during shipping. Please contact us by email (fuelfed2 at gmail dot com) within 5 days of receiving the item if you are asking for a refund or exchange. Exchanges or refunds for the item(s) will be made upon verification of claim. Questions? Email fuelfed2 at gmail dot com.